I signed up for a studio recently, and communication has been absolutely stellar! Will was extremely prompt and polite with helping me through the process. Thanks for your amazing review, Prarthana! 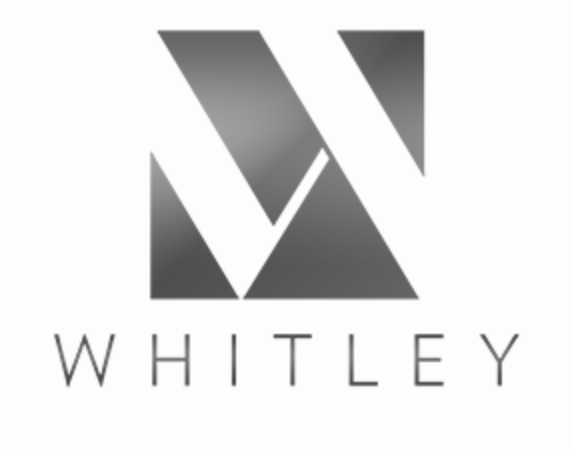 We are thrilled that you have chosen Whitley as your new home! We love your feedback and kind words about the team, and will continue to show you that you've made the right decision! Thank you! It's been wonderful so far! Will is amazing, and a joy to work with. We love the apartment, enjoy the amenities, and love the location a lot. Thank you for your amazing review, Shannon! We are so happy that you chose Whitley and we will continue to do everything to make your stay an absolute joy! Please reach out to us should you need anything! Thanks for your review, John! We value your residency and will continue to do our best to make your living experience a memorable one! Have a great day! Expensive. Too little community activities. Gym equipment and media room equipment break often. Great location. Good finishes. Okay floorplan. Thank you for your feedback, Tahmina. We'd appreciate the opportunity to address your specific concerns. The fitness center received it's quarterly preventative maintenance inspection mid-February without any issues. Would you please let us know what equipment is in need of repair? Our media room and conference rooms are booked regularly, is there an issue with the tele-connectivity that we need to be aware of? We truly value your residency and strive to do all we can to make your stay a memorable one! Please reach out to us at (512)473-0301 or whitleytx@greystar.com. Have a wonderful day! Thank you for your stellar review, Lauren! We are so proud that you are happy at Whitley and that we have met your expectations! We are here for you, 24/7, 365, so don't hesitate to reach out! Thank you again and enjoy your day! Thank you so much for your kind review, Paulina! We are thrilled that you are happy and we will continue to do what we do best to ensure you stay that way! Please let us know if there is anything we can do for you! Have a wonderful day! The Whitley is great! Concierge is always on hand to answer any questions, and the communal areas are always clean. I love being in my apartment, the walls block out outside noise really well. Talia W., thank you for the high star rating! We truly appreciate you taking the time to leave us this feedback. We always strive to provide top quality service to every guest, and are pleased to hear that you enjoyed your experience here at Whitley Apartments! Should you ever need anything, please do not hesitate to reach out. Have a wonderful day! Well constructed building in a great location. Nice amenities. Pleasant and professional leasing and concierge staff. Guest apartments available on AirBnB. John G., your wonderful feedback and rating mean a lot to us. We appreciate you taking the time to leave us this feedback. If you ever need anything else from us, please feel free to give us a call or stop by. Have an awesome day! I’ll share my experience on the Kingsley. I have not had a good move in experience at The Whitley but my previous encounters held a higher bar with other management. Thanks for bringing this concern to our attention. It is our goal to treat everyone respectfully and to have loyal residents. We strive for continual improvement and welcome your feedback. Please contact us at (512)473-0301 or whitleytx@greystar.com so we can address your specific needs. Thanks again! We are so happy that you have enjoyed your stay so far! We want to make sure that you are taken care of so if you need anything, please do not hesitate to reach out! Thank you! Awesome building in an incredible location. If you want to be near nightlife, running trails, and the heart of Austin, Whitley is the way to go. Thank you for your kind review, David! This is what inspires us each day to go above and beyond for our residents! We are here should you ever need anything! I love everything about living downtown except for the noise and traffic so it's not much The Whitley can do about it. Maybe you could offer a soundproofing renovation option? Thank you for your candid feedback, Nathan. We, too, are not fans of the downtown noise and understand it can be headache at best. I appreciate your suggestion and will certainly take a look at what can be done. Please let us know if there is anything that we can do for you! Happy Holidays! Great location, friendly neighbors, very helpful and nice staff, no big complaints so far since moving in. Everything has been great so far. Safe and secure place to live near lots of venues and restaurants. Nice pool and pool area is always clean and tended too. Lobby is always clean and well kept. A safe environment to live and close to lots of entertainment. Just a short uber ride to the airport. I recommend The Whitley. The community is very friendly and staff is eager to help you with anything you may need. The amenities are great, but the best perk is the location and windows to maximize the reason you want to live in downtown. Thank you for your review, Amanda! We love that you chose Whitley and are here for you should you need anything! Enjoy your weekend! Thanks for your feedback, Aaron! We are thrilled that you chose Whitley and we are here for you should you ever need anything! Overall good experience. Encountered some issues with packages in the past. Great neighborhood to live in. Would like to see more resident events. Christopher, thank you for your candid feedback. We are gearing up for new resident events so be on the look out for the invites in your email and on our resident portal! We'd love to hear if you have any suggestions on what kind of events you'd like to see. Thank you again for choosing Whitley - have a fabulous day! Great place to live! Convenient location, very clean, polite, and overall a great place. Well worth the bang for the buck of living downtown! Hello Michael M., thank you; we appreciate your feedback! Reviews like this give us motivation and help us ensure we provide high-quality care. If you ever need anything else from us, please feel free to give us a call or stop by. Have an awesome day! Yes, Jenny! We love Royal Blue, too! And very soon we will be the only community to receive Uncle Julio's delivery straight to your front door! Just another perk of being a Whitley Resident! We love the 24-hour concierge, too! We are all here for you so please don;t hesitate to reach out to us should you need anything! Enjoy your day! Incredible apartment complex in the heart of downtown Austin. Very clean and new amentities, awesome balcony views and great community within. Location could not be more perfect and everything is walking distance including restaurants, bars, and entertainment. I have loved living here! Hi Kristen R., thank you for taking the time to leave a review for us at Whitley Apartments. We're happy we could meet your expectations! We're glad to hear we delivered such a great experience. If there's anything further we can do for you, we are happy to help! Have a wonderful day! I have loved living in the Whitley! The staff is so friendly, the building is always clean, and the amenities are top notch. I would recommend the Whitley to anyone! Ellen J., reviews like this give us motivation and help us ensure we provide high-quality care. Thanks again for the recommendation, and have an amazing day! This is a beautiful community with friendly residents and staff. They have definitely made my move to Austin worthwhile! I will definitely refer this community to anyone looking for a new home! Welcome, John! We are thrilled that you chose Whitley as your new home! We are here for you 24/7 so please reach out to us if you need anything! See you around! The staff here is simply amazing and have accommodated to all of my needs. They make you feel like your always welcome and at home. What I really love about this place is the amenities! Thank you, Austin, for your kind review. We take pride in what we do and are so happy that you chose Whitley! Please let us know if there is anything else we can do for you! Enjoy your day! We just recently moved in to the Whitley and so far it has been a great experience. The property itself is beautiful and the location is perfect. We are so thrilled that you are happy! Thank you for your review and enjoy your day! Nice quiet community in the middle of downtown. People are friendly and the building is always clean. What more can I say except that it is a good place to live.